The perfect stocking filler this Christmas for any man! 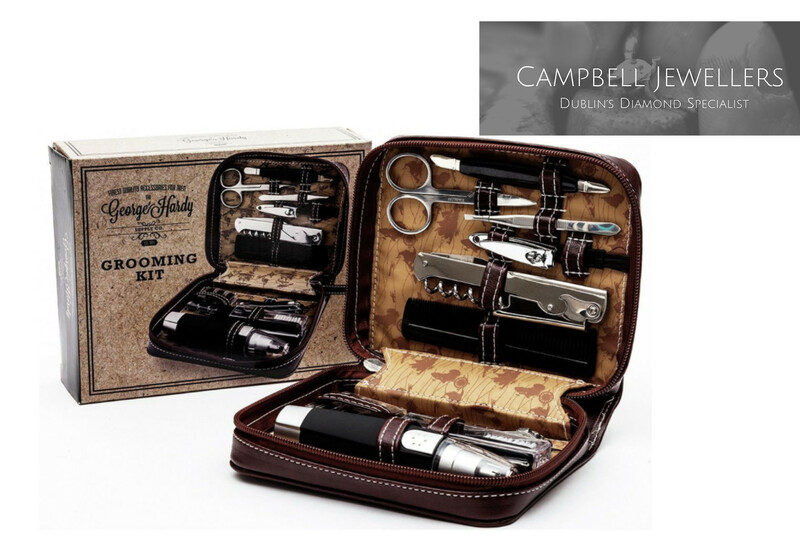 This high quality, 14 piece grooming set is the perfect gift for any gent. Well presented, the brown zipper pouch has small loops specifically designed for each piece, meaning everything sits well in its own place! Ensure the gent in your life stays well groomed with this complete set! Includes brown PU zipper pouch with MAP lining, a comb, nail file, nail scissors, 2 nail clippers, toe nail clippers, bottle opener, toothbrush, cuticle tool, tweezers, 3 razors, razor, nasal trimmer, mini hair duster, travel pouch, cleaning brush and pocket comb. For guaranteed Christmas delivery, you must place your order by Friday 15th December 2017.